I based my book on Julia Wilbur's diaries, an extensive record she kept from 1844 to 1895 (and in two different journals concurrently for about 20 of those years!). On that foundation came letters by her and others, as well as period newspapers, official documents at the National Archives, other materials in the Rochester and Alexandria local history collections, and much more. Some of what I learned did not make it into the book--or I learned about it after-the-deadline. Fortunately, I can share it here. 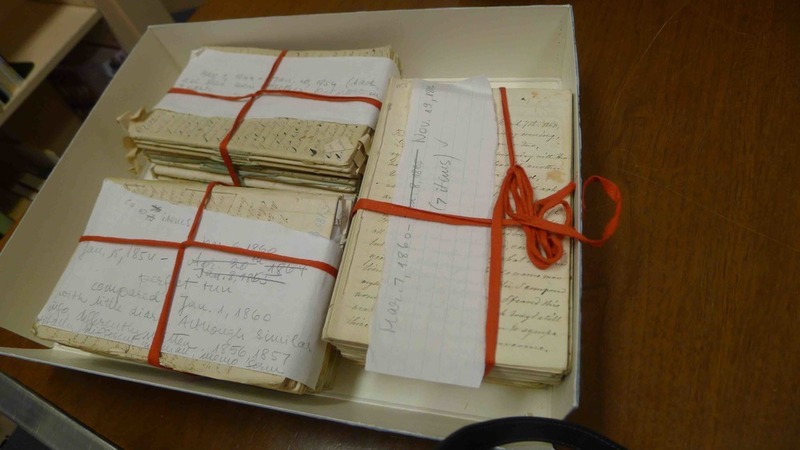 People often ask me about the diaries themselves, which span the years 1844 to 1895 (here's how I came upon them in 2012, though they have since been reorganized and placed into other storage containers. Harriet Jacobs' original book was written under the pseudonym Linda Brent. Harriet Jacobs--or as Julia Wilbur called her, "Mrs. J"--came to Alexandria in January 1863 with a certain renown, as author of Incidents in the Life of a Slave Girl, based on her own life in North Carolina and subsequent escape. Harriet and Julia joined forces, working to improve the conditions of freedmen making their way into Alexandria and ultimately becoming allies and friends. In early 1861, Alexandrians favored remaining in the Union. Two months later, they overwhelming supported secession. What changed? A lot more than people expected, beginning on May 22, 1861. One of Rochester's Underground Railway centers was the home of Amy Post, with whom Julia corresponded from Alexandria. 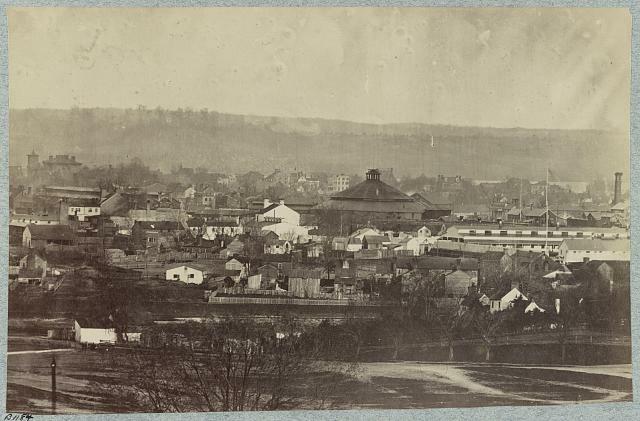 Photo from the collection of the Rochester Public Library. Founded in 1815, Rochester became a boom town especially after construction of the Erie Canal in the mid-1820s. Not only did the total population multiply, but it became a center for all the reform movements of the time--including temperance, women's rights, and abolitionism. These movements shaped Julia Wilbur in a deep and lasting way.